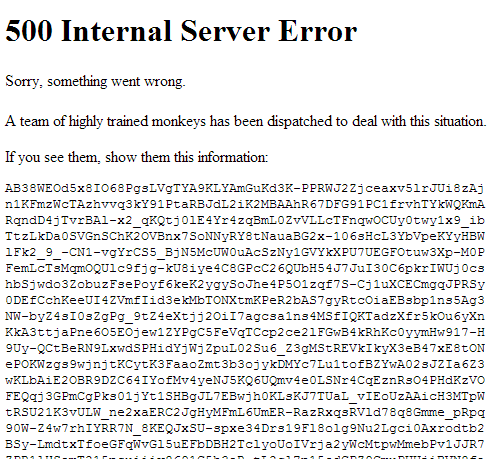 Some people encountered errors, or a slower than normal experience on YouTube today. We worked quickly to address the issue and fixed the problem. We’re sorry for any inconvenience this caused. It seems that YouTube is having a bit of a hiccup today with some users being left unable to access the site or videos via the YouTube.com homepage. How widespread the problem spreads is yet to be established, but there are certainly plenty of Tweets from disgruntled users. In our own testing, it seems to be a mixed bag with some of the team able to access the site and others not. For some users the site loads correctly, but an error (shown right) occurs whenever a search is carried out. Services like DownDetector are also reporting problems from users. Generally, these periods of downtime tend to be quite short for major services like YouTube, but that’s little consolation when you’re left with nothing to do but work when all you wanted was stupid videos. Or you could just watch them on your phone or tablet – the iOS and Android apps seem to be working just fine. We’ve asked Google for an update on the situation and will let you know if we hear back.